Bryson Bort is the Founder and CEO of GRIMM, an engineering and consulting firm that researches, develops, and advises on the art of the possible in cybersecurity. Led by former military officers and industry experts, GRIMM provides tailored security assessments focusing on the most likely pathways weaknesses are discovered and exploited, demonstrating exposure to current and emerging techniques. GRIMM’s practices build on operational experience in cyber mission support for national defense as well as business improvement and provides services and products with automotive, industrial control, SCADA, and embedded systems, enterprise cybersecurity, red team/penetration testing and intrusion response, security consulting, vulnerability research, and training for commercial and government clients. Prior to founding GRIMM, Bryson led an elite research & development (R&D) division for a contributing directly to National Security priorities. 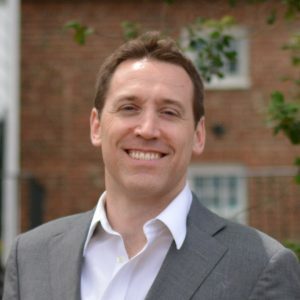 Earlier, he served as the Deputy CTO for the company where he developed the corporate R&D program and cybersecurity strategy and previously was the Program Director of a business unit focused on supporting technology research and global infrastructure for DoD and the Intelligence Community. As a U.S. Army Officer, Bryson led a tactical communications platoon in support of Operation Bright Star in September 2001. He served as a Battle Captain and the Brigade Engineering Officer in support of Operation Enduring Freedom before leaving the Army at the rank of Captain.